Who’s behind WriteByNight? Meet our staff of talented coaches and consultants. These professional writers, editors and teachers are available to help you with your writing, either in person or remotely via phone or Skype. 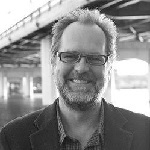 WriteByNight co-founder David Duhr is copy editor and fiction editor at the Texas Observer and contributes to the Dallas Morning News, Publishing Perspectives and others. Resa Alboher is one of the founding editors of the international literary journal St. Petersburg Review, is on the editorial board of Springhouse Journal, teaches creative writing at LA Writer’s Group, has been a lecturer at the legendary Summer Literary Seminars in St. Petersburg, Russia, and at the American Center of the Russian State University for the Humanities in Moscow; has published in many places including Roads & Kingdoms, Cosmonauts Avenue, Rattle, Blackheart Magazine, Maintenant 5, Have a NYC 2, The Breath of Parted Lips: Voices from the Frost Place, Volume 2, Radar Productions, El Portal, Scapegoat Review, DMQ Review and The Edison Review; has been a staff writer for Mango Salute and Rewire Me; and has blogged for Sundance TV, AMC TV, and CultureSonar. She holds an MFA in creative writing from University of Tampa and is a Los Angeles native who spent the last two decades living, working, traveling, writing and daydreaming in Russia and now lives in the City of Angels once again. 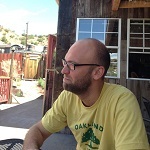 Tom Andes’ writing has appeared in Best American Mystery Stories 2012, Witness, Guernica, Great Jones Street,Xavier Review, Shotgun Honey, Atticus Review, and numerous other publications. His book reviews and interviews with writers and musicians have appeared widely, most recently in The Rumpus,Mystery Tribune, and the L.A. Review of Books. He has been a resident at the Ragdale Foundation, and he has taught creative writing privately, as well as at San Francisco State University, ADVANCE Camp for Young Scholars, and The Walker Percy Center for Writing and Publishing at Loyola University New Orleans. He lives in New Orleans, where he works as a freelance writer and editor, teaches for the New Orleans Writers Workshop, which he co-founded, and moonlights as a country singer. You can find more at the sporadically updated tomandes.com. Follow Tom on Twitter. 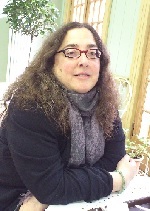 Bridget Apfeld, a native of Wisconsin, received her MFA from the University of North Carolina at Wilmington, where she taught writing survey courses and fiction workshops, and specialized in fiction writing; she holds a Bachelor’s degree in English with an honors concentration in Creative Writing from the University of Notre Dame. She has received awards from the Hollins University Literary Festival, the Gary Fincke Creative Writing Prize, and the Indiana Collegiate Press Association. Her fiction, poetry, and essays have appeared and are forthcoming in a variety of journals including So to Speak, Able Muse, The Fem, Midwestern Gothic, The Conium Review, and The Alaska Quarterly Review. 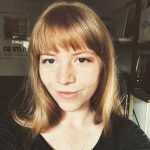 She currently works at the University of Texas at Austin as a Production Associate for online courses, and is an Associate Editor for Carve magazine. Bridget is at work on her second novel and a short story collection. Katherine Catmull’s most recent book, the young adult fantasy The Radiant Road (Dutton Young Readers/Penguin, 2016), came out to starred reviews from Publishers Weekly and School Library Journal. Her first novel, Summer and Bird (Dutton, 2012), was named one of Booklist’s 2012 Top Ten First Novels for Youth and was a Texas Library Association Spirit of Texas Reading pick for 2014-2015. She is also one of four co-authors of The Cabinet of Curiosities (Greenwillow/HarperCollins, 2014), a collection of horror stories for tweens and teens. 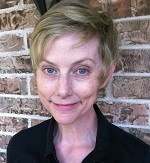 She has taught numerous writing classes and workshops for the Writers’ League of Texas, Armadillocon, and The Writing Barn, and appeared on panels about writing at SXSW, the Texas Book Festival, Comicpalooza, and many more. Catmull is also an actor, playwright, and freelance arts writer. Her website is katherinecatmull.com. Follow Kathy on Twitter. 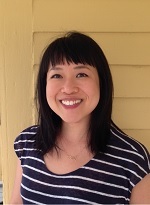 Jessamine Chan’s fiction has appeared in Tin House and Epoch, and received a Pushcart Prize Special Mention. She has been awarded grants, fellowships, and scholarships from the Elizabeth George Foundation, Columbia University, the Bread Loaf Writers’ Conference, Jentel, the Wurlitzer Foundation, the Kimmel Harding Nelson Center, the Anderson Center, the Ragdale Foundation, and the Virginia Center for the Creative Arts. She holds an MFA in Writing from Columbia University, where she taught undergraduate academic writing seminars and a fiction workshop, and a BA in English & American Literature, with Honors in Creative Writing, from Brown University. From 2011-2014, she served as a nonfiction reviews editor at Publishers Weekly. She is currently working on a novel. 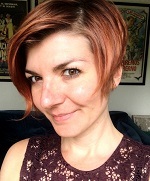 Caro Clark received her MFA from the University of New Hampshire, where she taught first-year composition and rhetoric and undergraduate fiction. 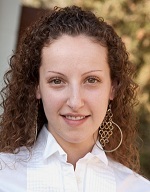 She also holds an MSW from Tulane University and is a practicing clinician. 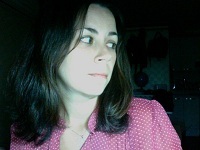 Her writing has appeared in Saveur, GQ, and No Tokens, and won Glimmer Train’s new fiction contest. She has received scholarships and fellowships from the Community of Writers at Squaw Valley, Disquiet International, and the MacDowell Colony, among others. She is currently working on a collection of essays. Adriana Cloud holds an M.A. 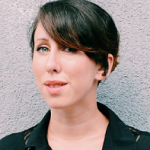 in Writing and Publishing from Emerson College in Boston, and she has over a decade of experience in book publishing, working for companies like Harvard University Press and Houghton Mifflin Harcourt. Her writing has appeared in The Rumpus, McSweeney’s, The Nervous Breakdown, Atticus Review, and others. Her chapbook, Instructions for Building a Wind Chime, was published by the Poetry Society of America in 2016. Follow Adriana on Twitter. 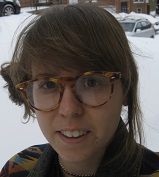 Lydia Conklin has received a 2018-2019 Creative & Performing Arts Fulbright Scholarship to Poland, a grant from the Elizabeth George Foundation, a Rona Jaffe Foundation Writer’s Award, two Pushcart Prizes, a 2015-2017 Creative Writing Fellowship from Emory University, work-study and tuition scholarships from Bread Loaf, and fellowships from MacDowell, Yaddo, Hedgebrook, Djerassi, the James Merrill House, the Vermont Studio Center, VCCA, Millay, Jentel, Lighthouse Works, among others. Her fiction has appeared in Tin House, The Southern Review, The Gettysburg Review, Narrative Magazine and elsewhere. She has drawn graphic fiction for The Believer, Lenny Letter, Popula Magazine, Drunken Boat, and the Steppenwolf Theater in Chicago. Follow Lydia on Twitter. Nick Courtright is the Executive Editor of Atmosphere Press, a full-service independent publisher, and is Co-Executive Editor and lead book designer for Gold Wake Press. He is the author of Let There Be Light, called “a continual surprise and a revelation” by Naomi Shihab Nye, and Punchline, a National Poetry Series finalist. His poetry has appeared in many literary journals, including Harvard Review, The Southern Review, Kenyon Review Online, Boston Review, and The Iowa Review, among numerous others, and essays and other prose of his have been published by such places as The Huffington Post, The Best American Poetry, Gothamist, and SPIN Magazine. Follow Nick on Twitter. 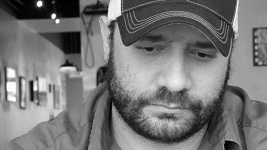 Nick Jarvis is a filmmaker who received his BA in Creative Writing from Metropolitan State College of Denver, then attended four years of film school at Colorado Film School, University of Colorado, where he was also a creative writing judge for the Denver School of the Performing Arts. He has sold one screenplay, and wrote and co-directed another feature, Pearman, which hit the film circuit in 2012. His short films have won awards at the Brooklyn International and Estes Park film festivals. 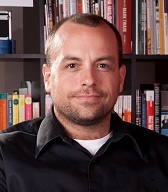 He judges for Austin WebFest and reads for the Austin Film Festival, for which he currently writes coverage. Robert McDowell, a two-year Woolrich Fellow at Columbia University’s School of the Arts, is founder and editor of the new Homestead Lighthouse Press, Inc. He also served as co-founder, publisher and editor of Story Line Press. For twenty-two years at SLP, he selected, edited and guided into print 300 anthologies and individual volumes of fiction, nonfiction, poetry, memoir, guides for writers and drama by new authors, authors in mid-career and well-established authors. SLP authors included five Pulitzer Prize winners, six U.S. Poet Laureates and a Nobel Laureate. 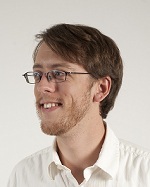 For ten years he co-edited, with Mark Jarman, The Reaper, a literary magazine. He created the Rural Readers Project. Robert is also the author, co-author, translator and editor of four E-books and fifteen print books of his own from publishers such as Free Press/Simon & Schuster, New Directions, Penguin Eastern Classics, Henry Holt & Company, University of Pittsburgh Press and others. He has taught writing in all genres at the low-residential Bennington graduate MFA program, which he co-designed with the late Liam Rector, the University of Southern Indiana and UC Santa Cruz. His non-fiction, fiction and poetry have appeared in dozens of magazines here and abroad including The Hudson Review, London Magazine, The New Criterion, Poetry, NER/BLQ, The American Scholar and many others. For the last ten years, Robert has taught workshops, led retreats and worked as a freelance coach, editor and ghostwriter for beginning and established writers. Visit Robert’s website and follow him on Twitter. 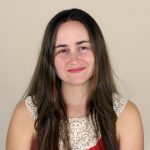 Cecily Sailer holds an MFA in creative writing from the University of Houston and has taught creative writing workshops through Writers in the Schools Houston, Badgerdog, The Orange Show Center for Visionary Art, VetsArts Cooperative, and Inprint. Cecily is program and events director for The Library Foundation in Austin, and founder of Typewriter Tarot, a collective of female writers who read, teach, and write about Tarot. Her work has appeared in The Texas Observer, The Dallas Morning News, The Austin American-Statesman, Texas Monthly, The Austin Chronicle, and Austin Fit Magazine. Follow Cecily on Twitter. 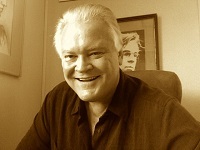 Brad Tyer is a veteran journalist and editor. A member of the National Book Critics Circle, he’s reviewed fiction and nonfiction for the Houston Chronicle, the Dallas Morning News, the New York Times Book Review, and the Village Voice Literary Supplement, among many other publications. He’s served two stints as managing editor of the Texas Observer (where he oversaw literary coverage), and one as editor in chief of the weekly Missoula (Montana) Independent. He’s been awarded a Knight-Wallace Journalism Fellowship at the University of Michigan, a Fund for Investigative Journalism grant, and a Fishtrap writing residency. His nonfiction book, Opportunity, Montana: Big Copper, Bad Water, and the Burial of an American Landscape (Beacon Press, 2013), earned a starred review from Publishers Weekly and was named an honor book in the Montana Book Awards. Jeanine Walker holds a Ph.D. in Creative Writing and Literature from the University of Houston, where she was awarded the Donald Barthelme Fellowship for both fiction and poetry. Her poetry and reviews have appeared in Cimarron Review, Cream City Review, Gulf Coast, Hobart, Narrative, PageBoy, and elsewhere. She leads creative writing workshops through Everett Community College, the Richard Hugo House, and Seattle Arts & Lectures’ Writers in the Schools program, was the April 2018 poet-in-residence for Seattle Review of Books, and writes for the stage for the comedy show Mixed Bag. Browse our services to find out how our staff of professional writers can help you.